January | 2015 | Ready, Set, Glow! This is my first skincare post of the year, so I thought I’d start with the first step of the skincare routine: cleansing. Balms. I’m drawn to cleansing balms for their practical, multi-usage functions. They have become the next big thing ever since we rediscovered oil cleansing. Balms benefit every skin type because they contain nourishing, moisturizing and repairing oils and ingredients. For me, the best time to use a cleansing balm is during my night skincare routine; balms are more time-consuming than cleansing oils or liquid cleansers. I rarely use a balm in the morning, especially if I’m in a hurry. Cleansing balms require more pampering, which is perfect right before bed. Also, the winter is the ideal season to use a cleansing balm (although depending on the texture, I do use some cleansing balms all year-long). In my arsenal, there are 4 cleansing balms I use depending on my needs (and moods)! Clockwise: Balms from Silkka, FarmToSkin, Camp Skincare and One Love Organics. They are nourishing, cleansing, moisturizing and multi-purpose. 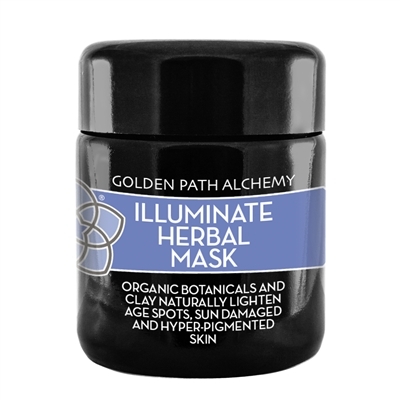 I sometimes use them as spot treatment on the occasional pimple, as base for cleansing grains, for masks, on cuts or bruises and in my hair (anti-frizz). As a rule of thumb, I use them on dry skin. I take 1/2 tsp of the product (or as needed). I warm it in the palm of my hand and spread generously on face and neck. I massage the product in face to make it melt, as much as possible. That way, the nourighing ingredients sink into the pores, while the dirt, grime and makeup is being dissolved. I sometimes put a warm cloth on my face to open up the pores, I let it sit for 5 minutes or more (don’t fall asleep like I do!). 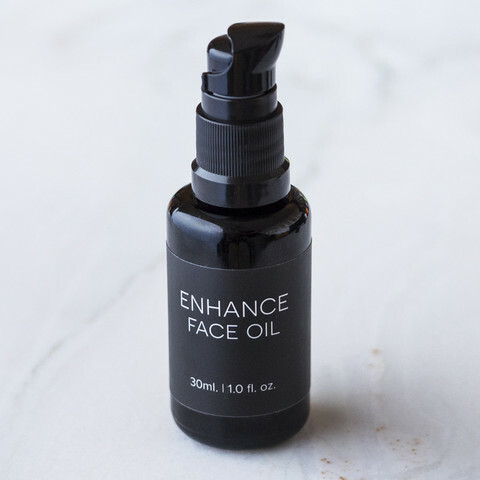 Avoid the eye area because some balms might have some essential oils. 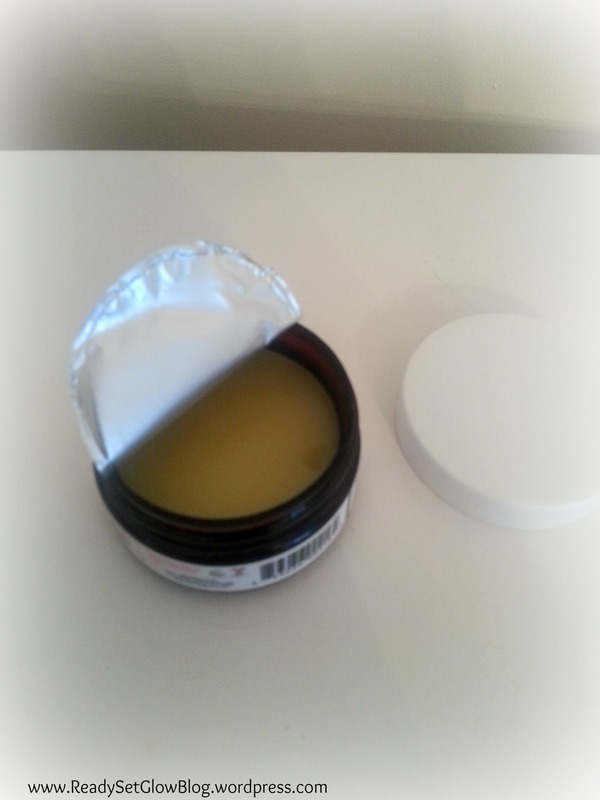 Then I remove the balm with the damp cloth, with gentle strokes, no rubbing! Rinse if necessary. After that, I need very little moisturizing. I follow with a toner/mist and a night serum or more of the balm in question as a moisturizer. 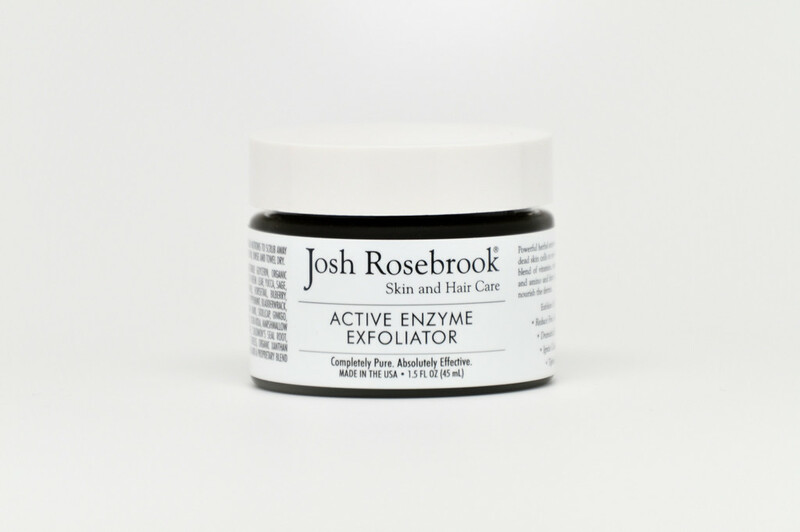 If I want to take it up a notch, I repeat by adding cleansing grains for a gentle exfoliation. Silkka Garden Apothecary is a Canadian brand (yay!) founded by my dear friend Lisa Allen. I’ve already told you this one was a favorite of mine, here. But I have to tell you why I love it so much. First, the smell is intoxicating: it’s fragrant, sweet and tangy, as if you’re peeling a fresh citrus fruit while the juices splash. It has Camelia oil, high in Vitamis A and E and full of antioxidants. Then, Shea and Mango butters soften the skin. What I love the most is the Grapefruit essential oil, good especially for oily and acneic skin, cleanse and decongests the skin. The combination of the Grapefruit essential oil with the mint makes using this balm an interesting multi-sensory experience. I wanted you to see the texture up-close because there are gritty pieces in this balm, which I absolutely love because it does for a good exfoliation. Simmondsia chinensis (Jojoba) seed oil, Camellia sinensis (seed) oil, Butyrospermum parkii (Shea butter), Mango (Mangifera indica) butter, non-GMO Glycine (soy butter) soja, Cera alba (beeswax) and essential oils of Citrus paradisi (Grapefruit) and Mentha arvensis (Peppermint). Price: 17$ for 50 ml (in amber glass) *Can you believe the price?! OLO’s Skin Savior has been a favorite of mine since the very beginning! 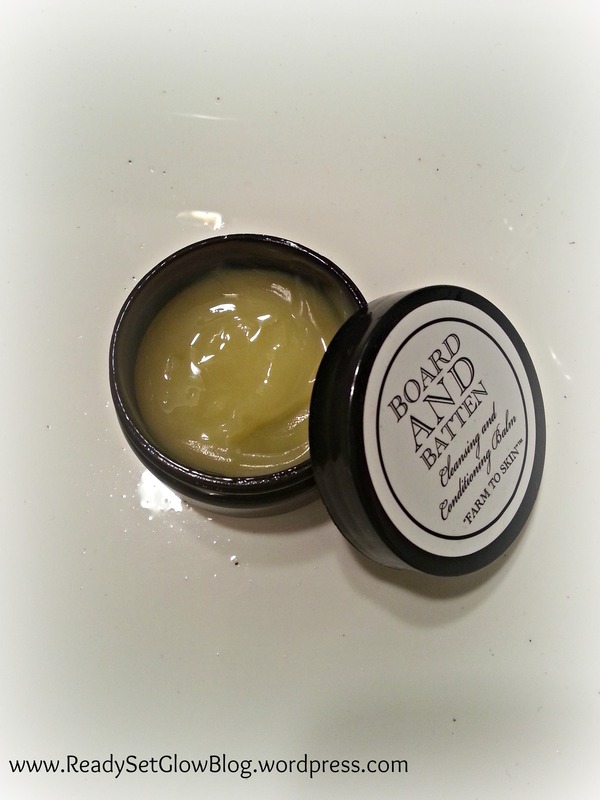 This is the balm that made me fall in love with all balms! It’s a classic, THE original. It’s a must-have, it’s the ultimate multi-tasker. If you don’t know what to pick between a cleanser or a moisturizer, you buy this and you save! I use this for cleansing, but also for moisturizing my skin and scalp or to eliminate frizz hair. A little goes a long way. The Skin Savior is great mixed with your mineral foundation (I use Alima Pure). There isn’t much this balm can’t do. It serves as a first aid kit in my bag! organic cocos nucifera (virgin coconut) oil, organic glycine soja (sweet soy) seed oil, organic beeswax, mangifera indica (mango) seed butter, salvia hispanica (chia) seed extract, avena sativa (oat) extract, citrus aurantium dulcis (orange) peel wax, simmondsia chinesis (jojoba) seed oil, organic vanilla planifolia fruit extract, tocopherol (natural, non-gmo vitamin e). Camp Skincare is also a Canadian brand. I Insta met its founder, Lisa Inglis, a sweetheart, last year. I love the clean, simple outlook of the packaging. 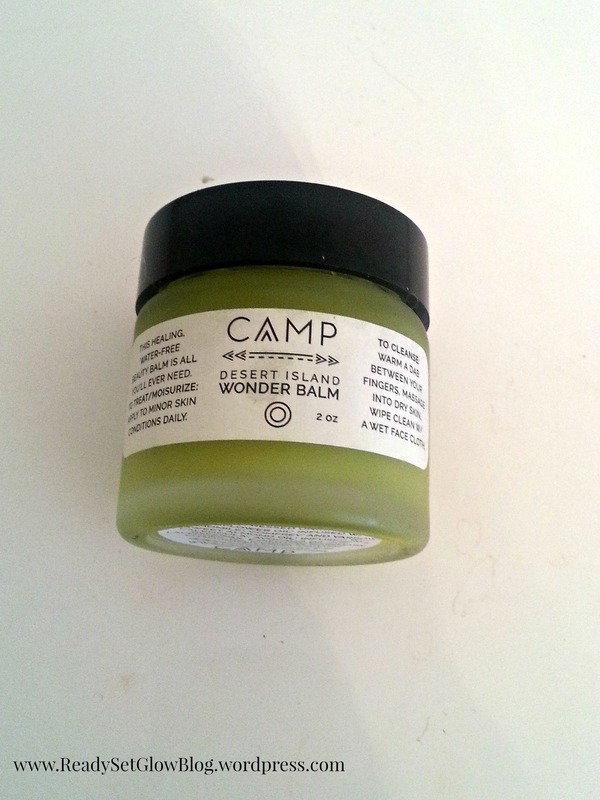 Camp Skincare is one of the brands who offer a “less is more” approach. Lisa told me that the Wonder Balm is really a labour of love. She hand-infuses the herbal oils (Calendula-infused Almond Oil and Sunflower Oil infused with Chamomile, Yarrow and Comfrey) before creating the balm. Comfrey leaves produce a deep green infusion and are responsible for the distinctive green colour of this balm . The texture of the balm is a little more buttery and lighter than the previous two, which makes it sinks into the skin faster. For that reason, I can use it all year long. It doesn’t leave any greasy residue. I really like to use it just before I go outside, it acts as a protectant from the harsh wind and weather elements. It’s also works as a great primer, under makeup. 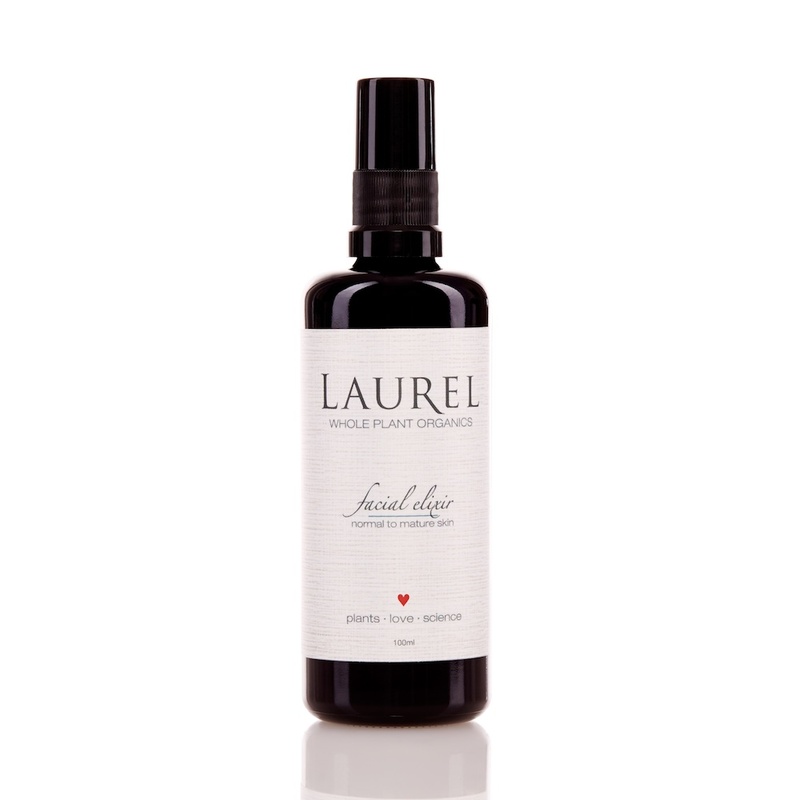 It just gives me a great sheen and my skin feels so comfortable, nurtured and moist. It’s a Wonder balm! Board and Batten is located in Lake County, Florida. 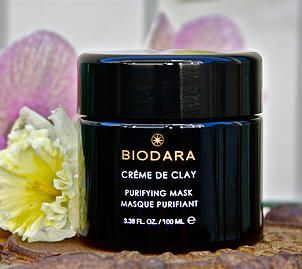 The brand offers gentle skincare that’s nourishing and balancing for skin. I like the feel of this balm. 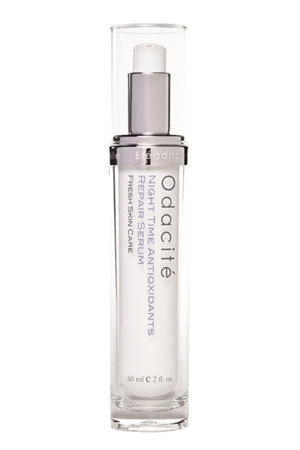 If you have sensitive or reactive skin, this is the one to go with. Like the other balms, it acts as both a cleanser and a moisturizer. There’s chia seed extract (as there is in the OLO Skin Savior). This balm is also rich in fatty acids and has Vitamin A from Carrot seed oil. Very rejuvenating and glow inducing! Ingredients: XV coconut oil*, soybean oil*, jojoba oil*, beeswax*, raw shea butter*, XV carrot oil, orange wax, oat extract, olive squalane, chia seed extract, vitamin E.
If I can’t carry too much products at once, I take one of them or all! I’m hoping to discover more cleansing balms, I have a few on my radar, like the one from De Mamiel. I’ve never met a balm I didn’t like! How about you? How often do you use cleansing balms? I’d like to know which are your favorites!